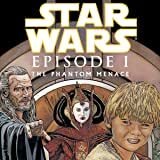 Collects Star Wars: Episode I - The Phantom Menace #1-4. The official comic-book adaptation of the first chapter in the epic saga of STAR WARS! Years before Luke Skywalker would clash with Darth Vader, turmoil has engulfed the Galactic Republic. 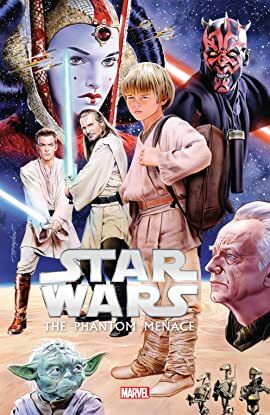 But when a pair of Jedi Knights — Qui-Gon Jinn and Obi-Wan Kenobi — are dispatched to end the trade conflict that has gripped the galaxy, they make a surprising discovery: the "chosen one" destined to bring balance to the Force — a young boy named Anakin Skywalker! But this new hope may not last long when an ancient enemy returns to threaten the Jedi after centuries in hiding. As the Sith rise again, the small planet of Naboo finds itself in the middle of a power struggle for the ages. Can Queen Padmé Amidala save her people from invasion?